Wavefront technology is commonly referred to as high definition Custom LASIK. After careful evaluation, Dr. William Ellis selected the Bausch & Lomb ZYOPTIX™ wavefront laser system because in his opinion it gives the best results of all the laser systems available. An extensive university study at the University of Rochester gave uncorrected results of 20/20 in 94.6% of patients using the ZYOPTIX™ wavefront system combined with APT software developed by the University. Dr. Ellis is proud to offer this to his patients. At Ellis Eye & Laser Medical Center, all of our B&L lasers have been upgraded to the latest 100Hz version. 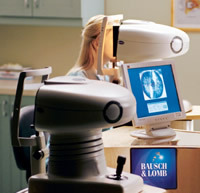 In contrast, many eye centers still use the older 50Hz versions. Check to see that your doctor has upgraded to 100Hz for their B&L lasers. In the opinion of Dr. Ellis, 100Hz offers the very best technology. Zyoptix is the world’s leading Wavefront system. 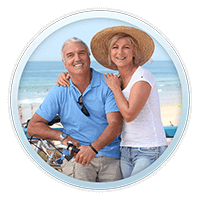 Ask about High Definition Custom Wavefront LASIK with Zyoptix™ from Bausch and Lomb. The expertise in the critical areas of eye tracking had its genesis in many years of contract research and development for the Strategic Defense Initiative and the National Aeronautic and Space Administration (NASA). More than $35 million dollars has been invested by industry to develop this technology and its application to an excimer laser to correct vision beyond the original government research. Until recent times, laser vision correction treated patients based strictly on their eyeglass prescription. When laser vision correction was first developed it was not possible to customize the treatment to an individual’s eyes or account for higher order optical aberrations. With the conventional LASIK approach, only the basic refractive error was corrected. Other optical imperfections of the eye known as higher order aberrations were not dealt with. This often resulted in a less than perfect correction with side effects such as glare and halo. This meant if a patient had a -5 refractive error this is what would be corrected. Once wavefront technology arrived courtesy of (NASA) the vision scientists began researching the use of this technology to help to improve LASIK eye surgery. Now, wavefront-guided excimer lasers can now treat patients according to the uniqueness of their entire visual system; not just their basic eyeglass prescription. In addition to treating myopia, hyperopia, and astigmatism, higher order optical aberrations which may be a significant cause of decreased vision can also be treated. This means clearer, sharper vision, especially at night. It also means that individuals may be able to achieve vision that is better than 20/20. APT software significantly improves the results with Zyoptix. A major laser vision breakthrough yields greatly improved results by combining advanced software developed by the University of Rochester. By using APT software to modify the Zyoptix treatment uncorrected visual acuities of 94.6% were achieved with the new software as opposed to 91.5% with the older B&L Zyoptix treatment alone. Ellis Eye was among the first in the United States to introduce the APT software for its Zyoptix treatments. In addition, all of the Technolas excimer lasers at Ellis Eye have all been upgraded from 50Hz to 100Hz in order to give our patients the very best technology. 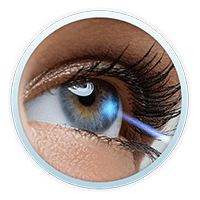 If you are considering laser vision correction with a B&L excimer laser, check to see whether the center offers advanced 100Hz treatment and APT software. Are older than 21 years of age and have stable vision. Glasses are troubling at work or during exercise and sporting events. Contact lenses make your eyes uncomfortable and dry. Experience poor night vision or higher order aberrations. How does wavefront technology work? Wavefront technology, also know as Custom LASIK or high definition (HD) LASIK, was pioneered for astronomy and physics to aid in reducing aberrations or imperfections in the optical systems of telescopes. In much the same way, wavefront-sensing devices are being used to produce an accurate picture of the optical imperfections found in the human eye. The wavefront technology treatment actually converts wavefront information into a laser pattern that is then used to correct higher order aberrations. With this new technology readily available doctors can now customize LASIK for individual patient needs. These treatments are unique to everyone’s eyes. The wavefront mapping is just as unique as a snowflake or fingerprint. What does this mean to a patient seeking LASIK laser vision correction? Zyoptix implies that laser eye treatment is now unique to each individual eye. 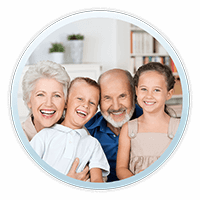 With Zyoptix wavefront technology, treatment is designed specifically to treat your individual vision errors including higher order optical aberrations which cannot be measured in a standard refraction or corrected with older laser systems. Zyoptix could improve the quality of your vision. In a clinical study conducted by Independent Refractive Surgeons on behalf of Bausch & Lomb, significantly more Zyoptix patients had less problems with night driving than patients undergoing treatment with a Bausch and Lomb Standard Laser. Each Zyoptix assessment involves an extra diagnostic (screening) process in the ZyWave Aberrometer to allow the surgeon to better analyze the optics of your visual system better and select the most suitable treatment for you. In the Zyoptix wavferont system the latest, most advanced technology is used to detect and treat very small vision errors and optical aberrations. 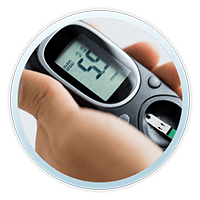 The Zyoptix system has many advanced built-in safety features that help to optimise the success of your treatment. Zyoptix, like standard laser treatment, is fast and virtually painless. The very best results are achieved when ZYOPTIX is combined with APT software developed by the University of Rochester resulting in 20/20 uncorrected vision in 94.6% of the patients in one study. 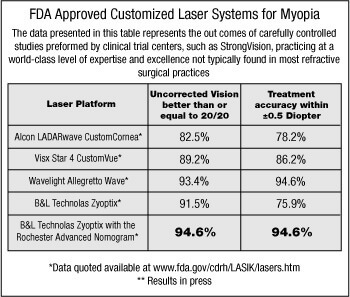 Not all vision correction centers have Zyoptix with APT software. Dr. Ellis William Ellis and the Ellis Eye and Laser Medical Centers were among the first in the United States to offer this revolutionary advancement at 100Hz. 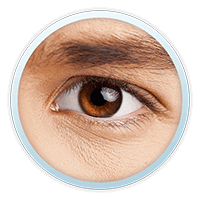 Before undergoing LASIK surgery be sure to ask if APT software is included in your treatment. Not all vision correction centers have upgraded the Technolas 217 lasers from 50Hz to 100Hz. LASIK is a highly automated, computer-controlled procedure, which takes just 3-5 minutes, is virtually painless and offers rapid, next-day recovery. After using some anesthetic drops to numb the eye for surgery the surgeon lifts back the eyelids with a speculum to prevent blinking. The surgeon then creates a thin flap on the outermost layer of the cornea. The flap is very gently folded over and the surgeon performs the laser treatment on the layer underneath. This usually takes about 2 minutes per eye. Your ophthalmologist will monitor the eye for seven to ten minutes to ensure proper flap placement and healing. Due to the extraordinary bonding properties of the corneal tissue, stitches are not needed to keep the flap in place. Standard LASIK still achieves very good results for many patients. With modern technology advancements, Ellis Eye & Laser Medical Center can improve the visual outcomes of LASIK eye surgery. Technologies such as High Definition LASIK with Zyoptix™ can help achieve better vision and treat higher order aberrations. This means sharper uncorrected visual acuity under all conditions. 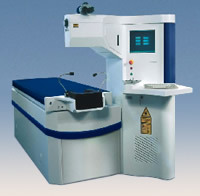 Prepare a laser with a combination of smaller and larger beams to deliver a precise treatment – a treatment that is unique to each patient. In addition to standard visual errors, Zyoptix also measures and treats small vision errors (higher order aberrations) that scatter light in a pattern that is unique to you. Scattered light errors could, for example, cause shading seen around one edge of a perfectly round light, and certainly, they are an important cause of poor quality night vision. About 70% of people could benefit from Zyoptix treatment. These small errors are detected with wavefront technology and treated by the laser with a combination of smaller and larger beams, allowing the surgeon to deliver a more precise, personalized treatment. Zyoptix provides excellent quality of vision in all lighting conditions. In the University of Rochester study, Zyoptix provided outstanding visual acuity with 94.6% of patients achieving 20/20 (6/6) vision when combined with APT software. Zyoptix patients reported fewer problems with night driving, haloes & glare when compared to Bausch & Lomb standard LASIK results. 98.8% of patients treated with Zyoptix were very satisfied with their treatment and would have it done again. In low lighting conditions, our pupils expand (or ‘dilate’). Research shows that there are more ‘aberrations’ or optical imperfections at the outer edges (periphery) of the pupil. This results in a distortion of the light entering the eye. As a result, it is possible to be able to look at a round light source in the distance, but instead of seeing a perfectly round shape, you will see an irregular image. This distortion of light reduces the quality of our vision and explains one of the reasons why many patients experience difficulty with their vision when driving at night. Zyoptix is slightly more expensive than standard LASIK due to the advanced technology which takes LASIK eye surgery to a higher level. PLEASE NOTE: Only your surgeon can determine if you are a suitable candidate for Zyoptix, based on appropriate diagnostic tests and your medical history. What prescription range can Zyoptix correct? Many people do not realize how suitable they may be for LASIK eye surgery or a Zyoptix Wavefront LASIK procedure because they think their eyes are too weak for correction. It is actually the case that many patients with mild to moderate prescriptions undergo LASIK. But because Zyoptix removes less tissue than Bausch and Lomb standard LASIK, it can be performed on people previously unsuitable for laser eye treatments – such as those with higher prescriptions. Of course, the limit of what can be corrected varies from person to person, from surgeon to surgeon and from machine to machine. 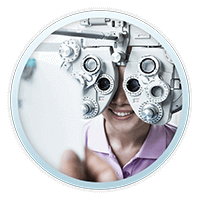 As a general guide, the Zyoptix system can correct moderately high amounts of myopia and astigmatism. 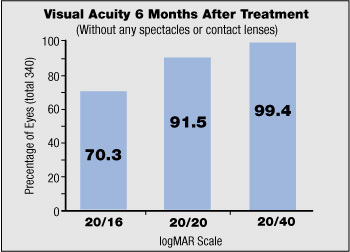 With Standard Zyoptix as seen above in the graph, 91.5% of patients had uncorrected visual acuity of 20/20 or better. These results are further improved by using APT software with Zyoptix to yield 20/20 or better in 96.4% of patients. Most people who want Zyoptix are able to have it, however, not all eyes are treatable with Zyoptix. Dr. Ellis and his staff will test your eyes with the Zywave aberrometer to see if the Zyoptix treatment can be performed. If you are rejected as a Zyoptix candidate the system will not allow Zyoptix to be performed. In this case, Dr. Ellis will be happy to discuss alternatives with you. For example, PRK or LASIK performed with the older Bausch & Lomb plano scan laser (without Zyoptix) or prescription implanted intraocular lenses may be good alternatives. The Ellis Eye & Laser Medical Center has several options for premium lens implants. A few people may have to accept the fact that they are going to need spectacles or contact lenses – and it is worth knowing that some contact lenses that can be worn continuously for up to 30 days. Zyoptix wavefront LASIK means that people whose eyes were unsuitable for laser surgery may now be able to undergo treatment. Improving your working life is not the only reason to choose Zyoptix. Many active people who wear glasses or contact lenses feel they can never realize their full potential in the sports and games they enjoy so much. *This site does not provide medical advice. While the information found on this website is generally true, specific conditions as they may relate to you may be different including the diagnosis and potential treatments. The information on this website should not be considered a substitute for a comprehensive evaluation, diagnosis or treatment from a qualified eye care professional. Always seek the advice of your qualified health care provider with any questions you may have regarding a medical concern or condition. Unsolicited emails and messages may not be answered.